One of Madaila's defining attributes is that they never do the same thing twice — unless it totally works. 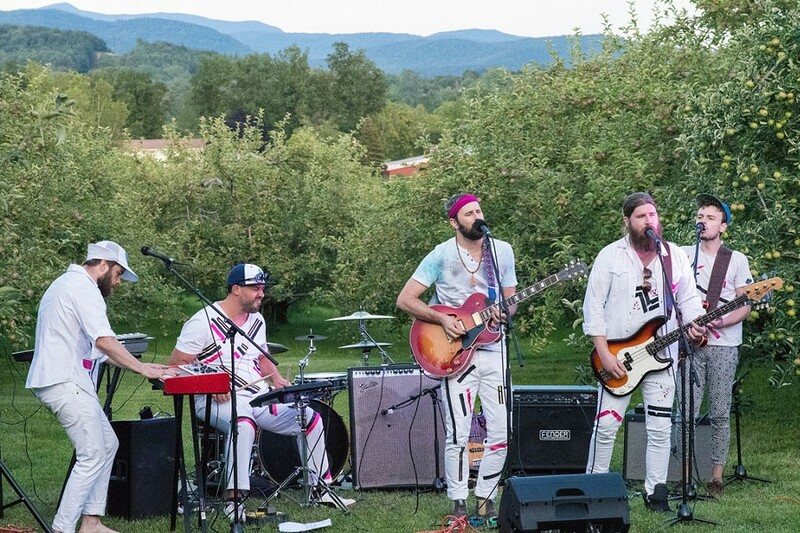 The soulful electro-pop band has rocked singular performances in more than a few high-profile spaces, such as the ECHO Leahy Center for Lake Champlain, Burlington City Hall Auditorium, the Champlain Valley Exposition and Burlington's Main Street. The quintet introduced that latter daylong block party, sensibly dubbed Madaila on Main, one year ago. This Saturday, September 2, the group revives the outdoor celebration, for which they'll close down the block between Church Street and South Winooski Avenue. 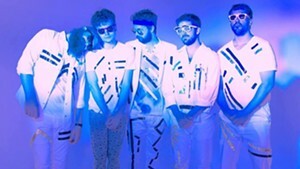 Performers include power-funk outfit Turkuaz (whose proclivity for saturated colors rivals that of Madaila), formerly local alt-country singer-songwriter Caroline Rose, anthemic rockers Wild Adriatic and, of course, Madaila. The all-day street festival transitions into late-night after-parties at both Nectar's and Club Metronome. The Nectar's bash puts locals in the spotlight with Rough Francis, Swale and DJ Disco Phantom, while Wild Adriatic throw down some Led Zeppelin vibes. Upstairs at Metronome, the Medallions — a vividly adorned funk band that bears a striking resemblance to but is definitely not Madaila — lead a super-jam with members of Harsh Armadillo (who also perform a full set), Nico Suave and the Bodacious Supreme, and EVNGwear, among others. Visit liveatnectars.com for more info. In a recent conversation with Seven Days, Radio Bean proprietor Lee Anderson mentioned that he's been itching to orchestrate some "large-scale, off-site events." On Friday, September 1, his fantasy becomes reality with a spaced-out, psychedelic extravaganza called the Active Galactic Ball. Anderson and company will transform the Barn at Lang Farm in Essex Junction from a pristine wedding venue into a trippy, celestial wonderland. Stage lighting company Heavy Light VT uses analog trickery to create lava-lamp-style visuals. In an email, Anderson refers to the company's projections as "similar to what would have been at the Fillmore West in the '60s." Far out, man. Heading up the bill are astral beings Arc Iris, lunar lovers Lady Moon & the Eclipse, space-age dance-rockers Appalled Eagles, and vinyl imperator DJ Taka, as well as an eclectic set from SnakeFoot and his orchestra. Last summer, the Champlain Valley Fair brought us I Love the '90s, a concert tour featuring a fierce selection of some of the last great decade's biggest hip-hop superstars, such as Salt-N-Pepa and Vanilla Ice. It was an explosive, wholly unexpected win. 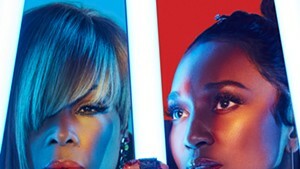 This year, the CVF announced the tour's return, with a new lineup featuring headliners TLC. (I had the honor of interviewing Rozonda "Chilli" Thomas last week, which you can read on our Live Culture blog.) Those who attended show last Friday learned that magic is often hard to recapture the second time around. Don't get me wrong: TLC were amazing. But the rest of the show was a bit ... off. Performers made some questionable choices, such as All 4 One's medley of Bell Biv DeVoe's "Poison," Montell Jordan's "This Is How We Do It" and Boyz II Men's "Motownphilly." That's tantamount to 98° mashing up New Kids on the Block's "The Right Stuff" with *NSYNC's "Bye Bye Bye" and Backstreet Boys' "I Want It That Way." People had enough trouble telling all of these bands apart back in the day. Why add to the confusion? There's also the fact that Jordan is currently on tour with I Love the '90s — though he was not part of this particular show. Still, it felt wrong to watch them perform one of their current tour mates' biggest hits. And then there was the set-break playlist. You'd think we'd hear nothing but '90s music, right? Wrong. Here's a selection of what was played while waiting for sets to begin: Def Leppard's "Pour Some Sugar on Me," Queen's "We Will Rock You," Guns N' Roses' "Paradise City," Joan Jett & the Blackhearts' "I Love Rock 'n Roll," Lynyrd Skynyrd's "Sweet Home Alabama," AC/DC's "You Shook Me All Night Long," the Black Eyed Peas' "Let's Get It Started," Nelly's "Hot in Here," and, randomly enough, the White Stripes' "Seven Nation Army." Sure, they also played Blackstreet's "No Diggity," but I felt like they went out of their way to skirt the '90s. Why? I left feeling bewildered. I try to keep a watchful eye on everything happening locally in club land. New show announcements from upper-echelon artists often make me feel giddy, but I rarely mention them in this column — unless a Vermonter is involved. But when I saw that Tricky, the UK's godfather of trip-hop, was kicking off his North American tour at the Higher Ground Ballroom on October 5, I knew I couldn't keep my excitement bottled up. 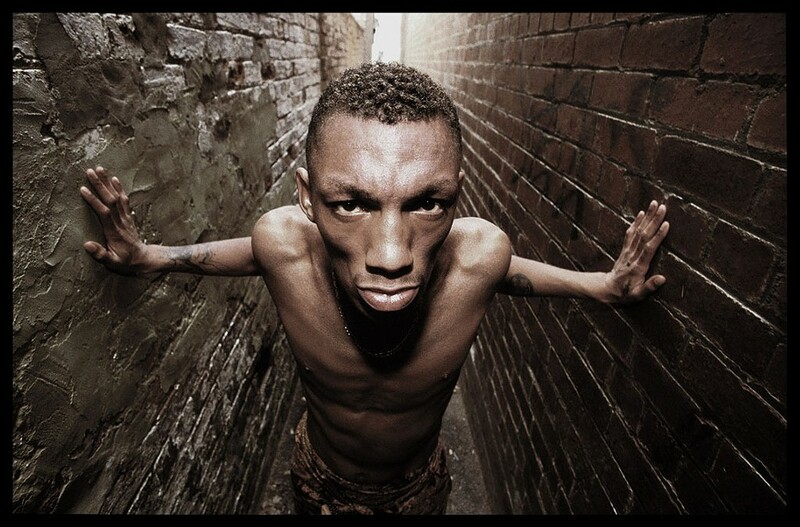 Tricky is one of my all-time favorite artists. In my teenage years, I kept his records Maxinquaye, Pre-Millennium Tension, Juxtapose, Blowback and Angels With Dirty Faces in constant rotation. The haunting "Overcome," the earnestness of "Makes Me Wanna Die" and the cinematic fury of "Excess" soundtracked many hazy weekend nights. Before Tricky, I'd never heard any UK hip-hop, let alone an artist who sculpted a hybrid sound of layered samples, ragga, grime, UK garage and murky downtempo electronica. For a sheltered boy from Vermont, Tricky was a revelation and an invaluable part of my musical edification. My excitement also comes with a bit of anxiety. In 2013, he was denied a visa and had to cancel his entire U.S. tour. I hope that doesn't happen again. One more thing: I'm speculating wildly here, people, but it seems possible that Tricky's first muse, former lover and co-parent Martina Topley-Bird, could make an appearance at this show. 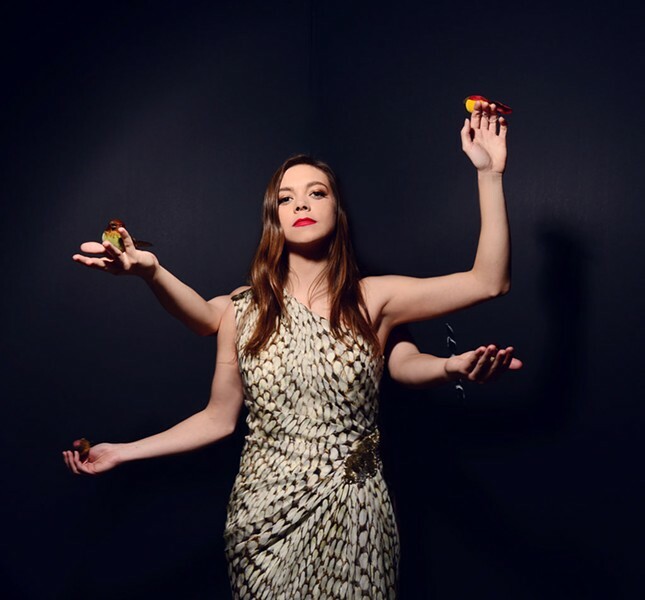 After supplying vocals for his first three albums — plus Nearly God, a collection of rarities and demos — she bowed out of the Tricky-sphere in the late '90s to focus on her own music career. Now, the two have reunited for "When We Die," the lead single from Tricky's forthcoming album, ununiform. The cut features vocals from Topley-Bird, so it seems they've found a way to work together again. If I were a superhero, my superpower would be the ability to get songs stuck in other people's heads. Here are five songs that have been stuck in my head this week. May they also get stuck in yours. Follow sevendaysvt on Spotify for weekly playlists with tunes by artists featured in the music section. Queens of the Stone Age, "The Way You Used to Do"
Queens of the Stone Age, "Feet Don't Fail Me"
Queens of the Stone Age, "Head Like a Haunted House"
Queens of the Stone Age, "Hideaway"
Queens of the Stone Age, "No One Knows"
Madaila, "Where Do We Go From Here"